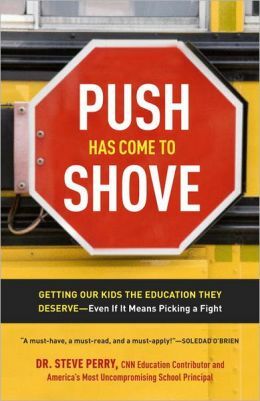 The idiom for this week is “when push comes to shove”. First of all, it’s important to know the meaning of the word “shove”. It is a verb which means to push someone or something very hard. It is pronounced /shuv/. We use the idiom “when push comes to shove” when we want to talk about a situation that has become so serious that someone must take action in order to deal with it. My friend Henry can be quite lazy, but when push comes to shove, he’ll do his work. My parents don’t want to give money to me because I’m now an adult, but if push comes to shove, I know they’ll always lend me money. My sister is a very busy woman, but when push comes to shove, she’ll always make time to talk to me. My team and I can finish the project by the deadline, because if push comes to shove, we will work overtime. So, in these examples, the normal situations are: Henry is lazy, my parents don’t lend me money, my sister is too busy to talk to me, my team doesn’t work overtime; however, if the situation becomes worse, then it changes: Henry will do his work, my parents will lend me money, my sister will make time to talk to me, my team will work overtime.